Prices may change without notice. 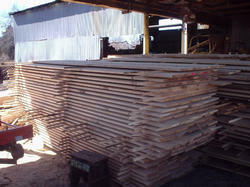 Very little lumber is stocked, but your order can be sawn within a few days when you leave a deposit. Custom and odd sizes can also be sawn in most cases. Call 210-0144 to see if I have what you need. Pick up by appointment only.